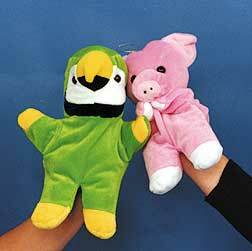 Just lend a hand to these precious puppets for hours of fun. 12 assorted styles. (Hand not included!) 12 inches. $21.65 per dozen for 6 dozen or more. $19.30 per dozen for 12 dozen or more.